We Have a New Online Form Now! (here's a backup document in case you would like to print it). ** IF YOU COMPLETE THIS ONLINE, YOU DO NOT NEED TO PRINT THIS OUT. 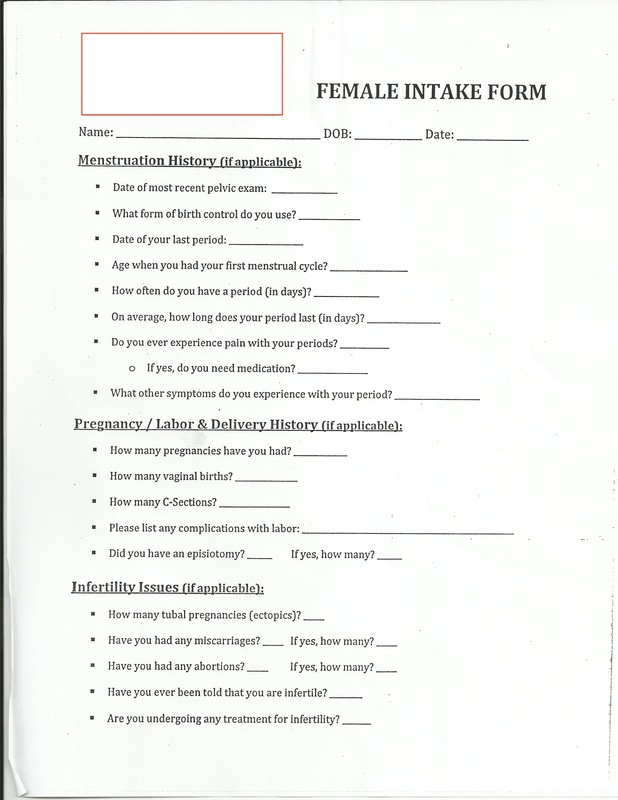 THE FORMS BELOW ARE FOR ADDITIONAL INFORMATION- YOU DO NOT NEED TO PRINT THESE OUT FOR YOUR APPOINTMENT. 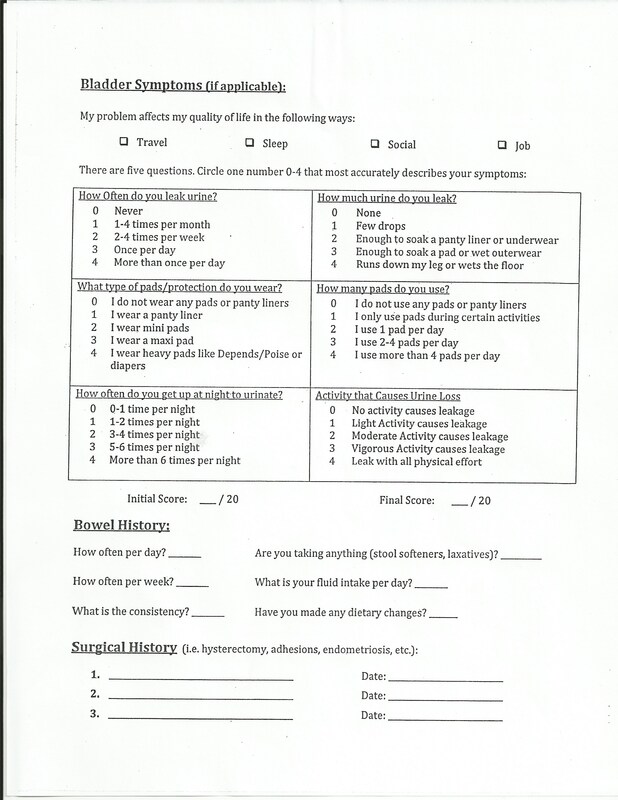 Click on the link below to open up the worksheet. When seeking reimbursement for outpatient physical therapy, these are the typical codes used for billing. 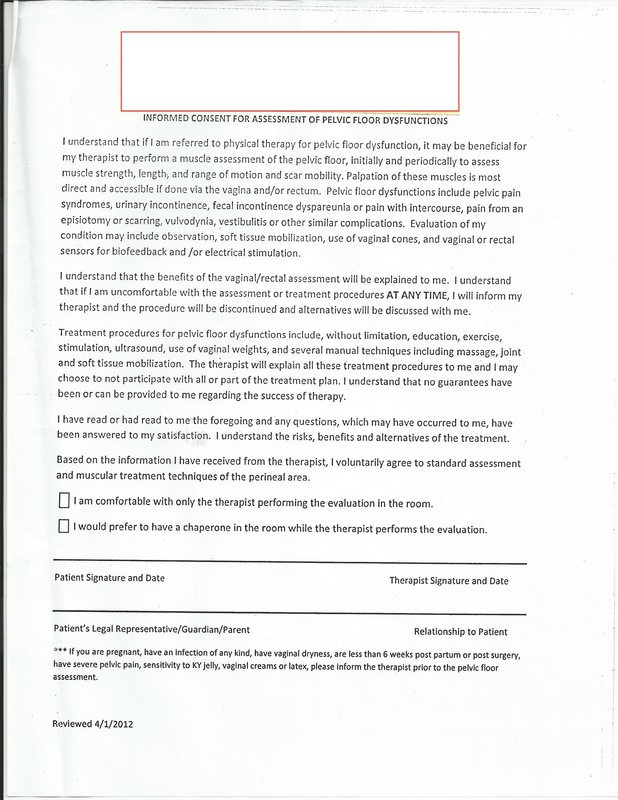 On the first visit, you will be charged an evaluation (and possibly 1-2 other charges if treatment is started). The timed charges occur in 15 minute increments. So, in one hour of treatment, typically 4 charges are billed. Your insurance customer service representative may ask for the codes used for pelvic physical therapy. This is the information you can provide. No need to search for it. It's all right here! 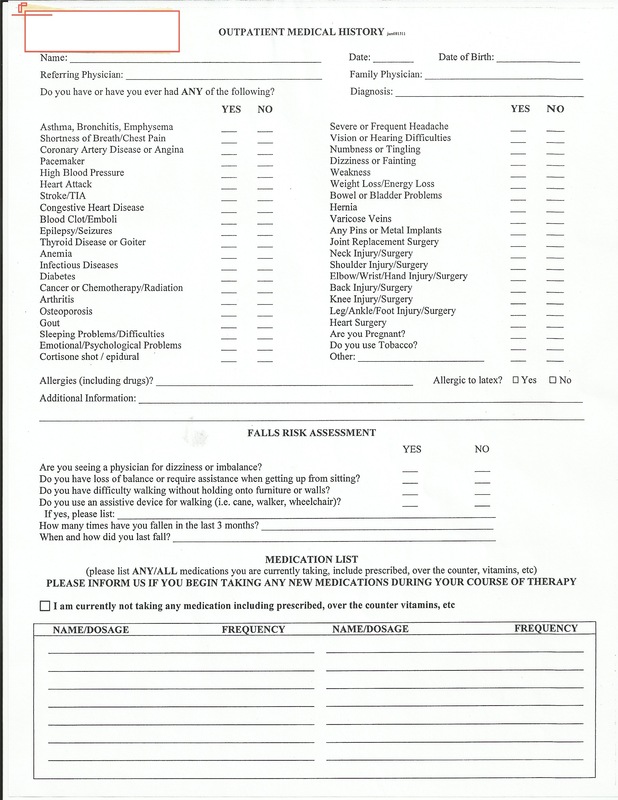 A referring physician can provide you with a prescription or fax one in. 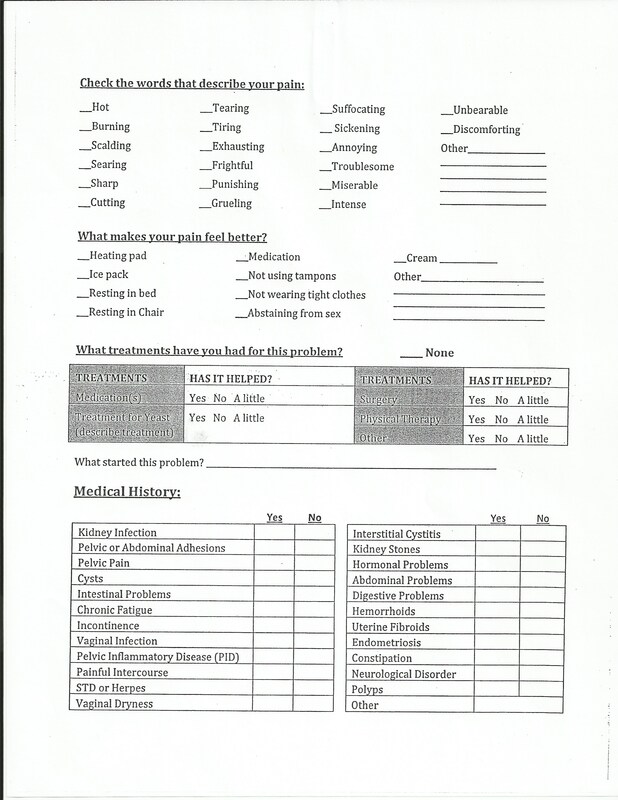 ​"Physical Therapy Evaluate and Treat"